Arizona is so much more than desert and mesas. With major metropolitan areas such as Phoenix and Flagstaff, there is a large urban population that lives within its borders. The healthcare industry is a major player in the economy, as well as tourism and mining. Those who live in the Grand Canyon State are faced with any number of legal matters. These take time away from important work and may cause considerable worry. A group legal plan is something that provides a great deal of needed assistance, and eliminates more than a few headaches. To provide the kind of support that employees need Countrywide Pre-Paid Legal Services provides group legal plans like the Personal Legal Protector Plan. Many people have family members who need help with immigration papers. The Countrywide attorney can provide that needed assistance. This professional can also see to it that necessary help from public agencies is quickly secured. Matters such as consumer protection and drafting medical powers of attorney can bewilder anybody. One of the advantages of the Countrywide comprehensive group legal plan is a variety of extra services. A plan member may call the Countrywide attorney as many times as necessary on a given situation. Furthermore, face-to-face consultations are easy to arrange. The reason for that is at the Countrywide lawyer lives in the community. A group legal plan member can have ready access to legal counsel. The personal services come along with the legal benefits. If telephone calls or correspondence are required, Countrywide will provide that on behalf of the plan member. It is often these direct communications with an attorney that brings fast resolution to problems. We see to it that the attorneys who are part of our nationwide legal network have great people skills. A person living in Tucson will be comfortable with the legal assistance he or she receives. It is because Countrywide treats their problem as a priority issue; the matter will not gather dust in a case file. An employer wants benefits that match the needs of the workforce. We respect that and permit employers to pick the legal benefit options they would like to see in their plan. If ID theft and credit monitoring is an issue with employees, Countrywide makes them available. Our administration is meant to provide as soon as possible. It is streamlined for quick response. Insurance exchanges are becoming increasingly more important for corporate benefits. 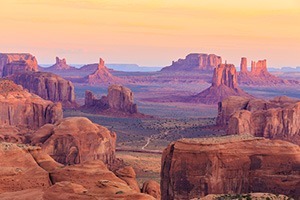 An insurance exchange that is based in Arizona will discover how attractive our group legal plan can be for clients. It's a combination of great legal expertise and wonderful client service that makes the Countrywide legal benefits stand out. Human resources directors want benefits that actually provide good service to employees. Many have commented very favorably on how effectively we respond with quick resolutions to legal conundrums. Our group legal plan assures your employees complete confidentiality and is usable in Arizona and throughout the country. Although business related matters are not eligible for services under our group legal plan, our network of experienced attorneys can assist with an endless number of other matters.